How did you become a writer? After college, I got a job as a reporter with a local newspaper company in Santa Barbara, California. That job gave me the opportunity to write all kinds of things, from obituaries to political stories to opinion pieces. Name your writing influences (writers, books, teachers, etc.). My first (and longest-lasting) job in technology writing was at Windows Magazine. I had a great boss, Fred Langa, who mentored me and taught me a lot about writing. We also had a great staff, and many of us were talking about writing constantly. I've also been influenced by Strunk and White (while at UCLA), as well as Hemingway, Fitzgerald, Christopher Hitchens, George Will and countless others. I've learned one or two things each from hundreds of columnists and writers. When and where do you write? I have a desk in my living room with a big iMac on it. That's where I do most of my writing. I also have a laptop and an iPad, both of which I enjoy writing on at coffee shops. I write almost every day, and almost all day, if you include blogging. What are you working on now? I have five opinion column deadlines a week, plus I post between three and fifteen blog posts a day. My wife and I are working on a diet and health book. Have you ever suffered from writer’s block? Sort of. But it's gotten better with time. Nowadays I'm pretty good at bringing in my intuition to figure out what point of view or opinion or angle I want to take. Once I have that, the words flow unblocked. What’s your advice to new writers?Originality is the most important thing, which is why you should avoid clichés, idioms and other commonly used words and phrases. Just talk plainly and say what's true. It's impossible to be too clear. Writing is nothing more than organized thinking captured in written language. The thinking is what matters most. When you are thinking about what you'll write, you're actually engaged in the craft of writing -- you're doing the most important part of writing. So write in the shower. Write while you're falling asleep. Write all the time, guard your attention and don't let anyone steal it while you're writing, even if you're not typing. Emotion creates memory and reader affinity. Humor is emotion and often the most powerful one. Don't tell jokes. Expose the humor of reality and truth. Blogging is a powerful learning tool because your readers will teach you to anticipate what they're going to be confused about, disagree with and what they like and don't like. You can use that anticipation to write better. 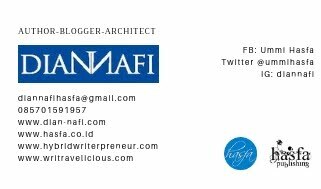 Bio: I'm a Silicon Valley-based writer, columnist and blogger, covering technology and culture. My work appears all over the place, most frequently Computerworld, Datamation, Cult of Mac, PC World, InfoWorld, MacWorld, CIO Magazine, the San Francisco Chronicle and The CMO Site.